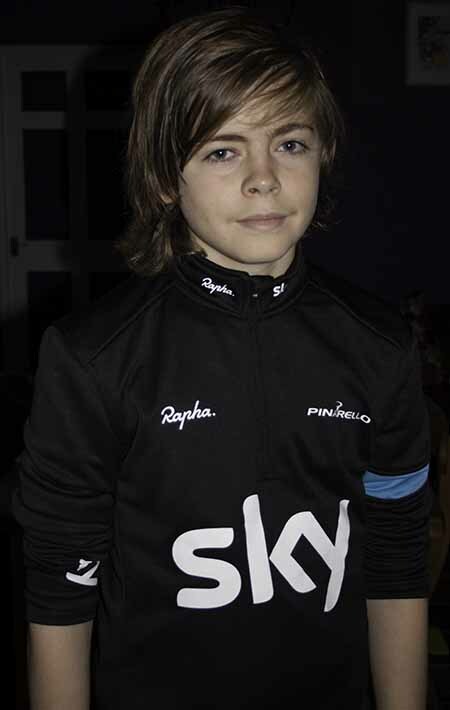 The joy of the winter sales… we’re gradually building a small Rapha collection, starting with Louis’ Rapha Team Sky Long Sleeve supporters jersey. There’s loads of comment & opinion around the Rapha, it’s one of cycling true Marmite brands – you either get the concept of high quality albeit expensive clothes or you’ll question why the brand costs so much. Given that the likes of Assos and Castelli have equally costly kit, I really don’t understand the real issue with Rapha, but suspect that it’s mostly down to their stylish and rather retro approach to their branding & promotion. Behind this slightly foppish branding, what lurks is some truly amazing kit… designed solely for making road cycling (and cycle-cross – Ed) a much more enjoyable experience every day or the year, come rain, snow, sun, wind, you name it! As with all cyclists, there coms a time when the penny drops and you realise that making do with a mixture of lycra shorts and layers from other sports just won’t cut it properly, so you start looking at real cycle kit. It’s then very easy to make do with whatever kit is marked down, but if you can warrant a treat then take a look at the Rapha range.